MUMBAI: There’s quite a buzz about newbies Jhanvi Kapoor and Ishaan Khattar grabbing eyeballs. 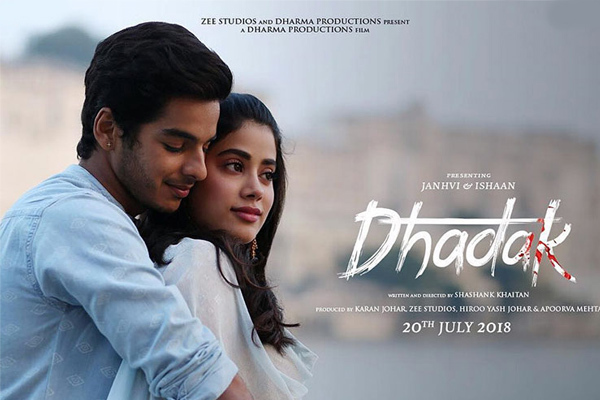 They have captured attention on a wide scale, while Dhadak’s title track was already out and we can’t just get enough of it. The track sung by Ajay Gogavale and Shreya Ghoshal has quite immersed in the hearts of people, with music given by popular singer duo Ajay-Atul. Lyrics have been penned by Amitabh Bhattacharya who has given that essence of the region in which the song has been shot. The song captures the right emotion, and showcases the sweet innocent love of the leads in Dhadak. No doubt the song has received those views and has completely deserves all the attention it needs. MUMBAI: The first song, Slow Motion from the upcoming Salman Khan and Disha Patani starrer, Bharat is out. Boasting of a set-up that will remind one of the 1970’s film era, the song has an upbeat peppy beat. MUMBAI: 29 April is a special day for the world of music as it marks the birthday of legendary tabla master Ustad Allarakha. This year, the same day is even more special as it marks the 100th birthday of the legend. MUMBAI: Remixes and recreations of classic songs is a current trend. The trend is loved by the audience and composers too are happy to add their own touch to classic songs. MUMBAI: Bollywood music composer Pritam has recorded with Rajasthani musicians for the song, Rajvaadi Odhni from the recent Bollywood release, Kalank. MUMBAI: The voice behind Dilbar Dilbar and Leja Re, Dhvani Bhanushali is a sensation among youngsters. Recently, she released her track, Vaaste, a love song having a college romance backdrop.